How to Make a Removable Raised Garden Bed Fence | The garden! 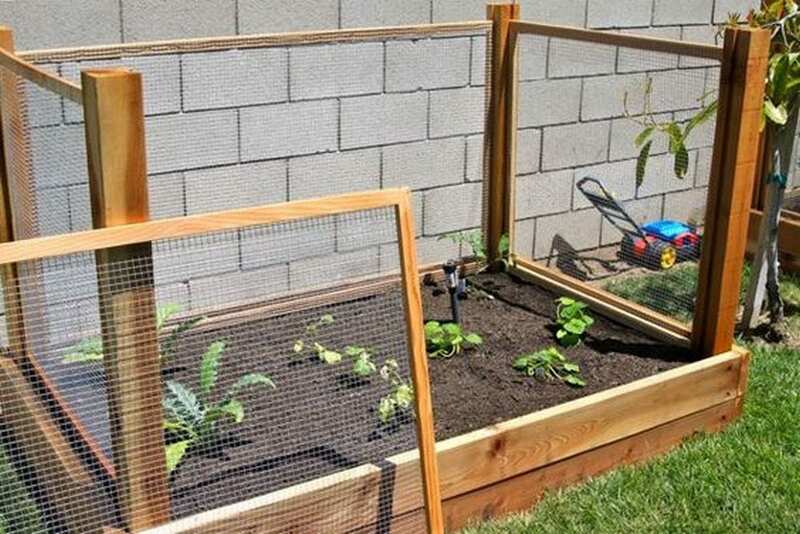 Say goodbye to backaches with this removable raised garden bed fence! More and more gardeners are opting for raised garden beds. Why not? After all, raised garden beds make gardening a whole lot easier. This means easy access to plants; because they’re elevated, you no longer have to stoop or bend down. You might as well say goodbye to backaches. If you’re planning on making a raised garden bed, add something that can help protect your plants. When it comes to garden fences, you have many design options to choose from. Pick one that works for you. A removal raised garden bed fence will help keep unwanted animals and critters that would otherwise harm your plants away. And because it’s removable, you won’t have the discomfort of reaching in over the fence. You can simply remove them while you’re gardening and then put them back when you’re done. This is actually a very simple DIY project that you can easily finish in less than a day. Why not make one? The long term benefits are totally worth your time and effort.